A never ending saga indeed. You get a shade lighter or get a shade darker or at times the shade matches you well but the undertones don't..
Coming to the Lakme Perfecting Liquid Foundation. 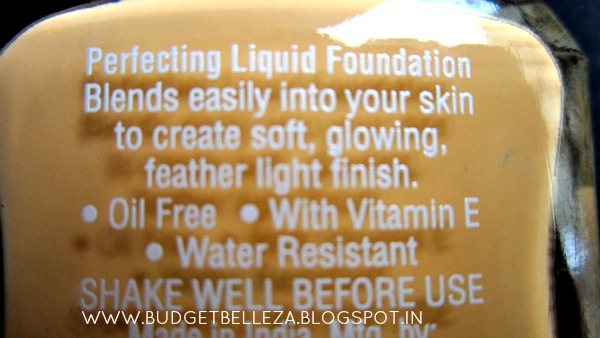 This is my first Lakme foundation though I wonder WHY??? 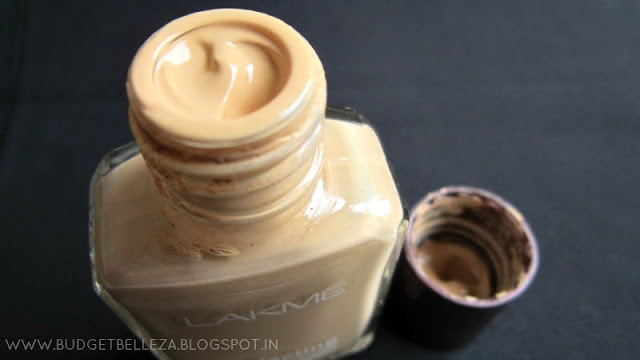 Lakme Perfecting Liquid Foundation blends easily into your skin to create a soft glowing and feather like finish. It contains Vitamin E that soothes and moisturizes the skin. Lakme should work on the packaging! 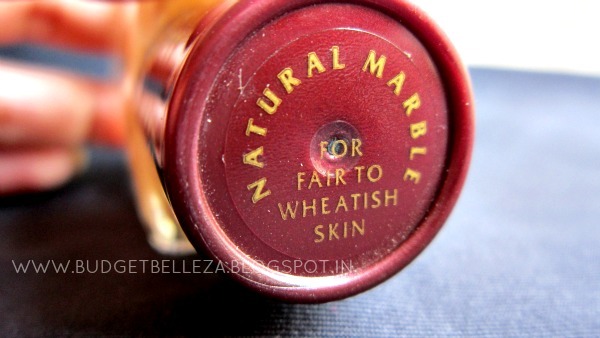 While Pearl is for Very Fair skinned with pink undertones,Marble has very strong yellow undertones and caters to Fair to Wheatish skin tones. Shell is for duskier beauties (though it didn't look like it would suit duskies) and the store didn't have Coral so I can't really say about it (SA said its least in demand). I wonder how I didn't give it try yet. Its medium coverage,light weight,oil free and gives apretty matte finish. Lets jump to the pros and cons. 2. Decent coverage for everyday use (read medium). 4. Pretty Oil-free (and I'm saying this in super humid July). 5. Doesn't make me sweat. 6. Did not break me out. 10. Cheapest branded foundi..I guess! 12. Neither runny nor too thick. 1. All the Indian girls have to adjust with just 4 shades. 2.Boring,impractical packging..Lakme?Atleast a nozzle if not pump dispenser? 3. Glass bottle..breakable..not travel friendly! Nice review Aditi. :) I have this too and it's the cheapest foundation in my vanity still I always reach for it as it's water based and doesn't look cakey at all. Yes this is the first base I used...still, I have it ...nice review. I won;t say it's the best one around, but for the price, it's a steal. Plus Shell is so warm. It matches me very well. You are so not the last person on earth.. that would be be. Could you please tell me if this will work for oily skin? Also should i go for this or the invisible foundation? Which would be better? Swati I have a dry skin but it definitely becomes combination in hot n humid months and this foundation stays put and doesn't make me sweat..So I guess its try worthy!! Thank you for the review, Aditi. It is a pretty good foundation available in this price range.Though I use Maybelline Dream mousse but still I keep this lake one to use it at times for casual outings.texture and coverage wise it is better than Maybelline BB cream only drawback is it does not HV sunscreen in it.if applied on top of good sunscreen it is really good one. I ditto that..though I haven't tried Maybelline mousse but I agree to what u said Debomita..
Its comes of a bit too pale on me..I guesss I shud mix it with shell! I work in the personal care industry specifically makeup. Would love to have a quick chat with you on this foundation. Kindly let me know if that's possible. I bought it today..hope it will give me a finish party makeup look.